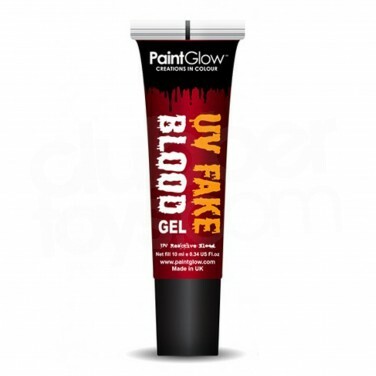 Give special effects wounds and spooky bloodstains a sinister glow with UV reactive fake blood. 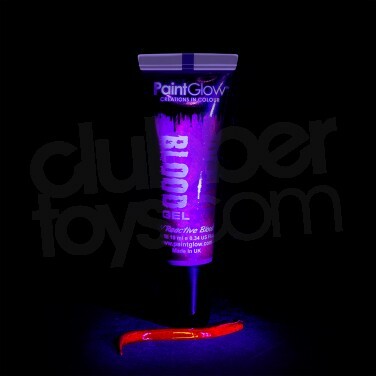 Easy to apply with a narrow nib, UV fake blood fluoresces under UV blacklight turning your handiwork into an eerie party look. 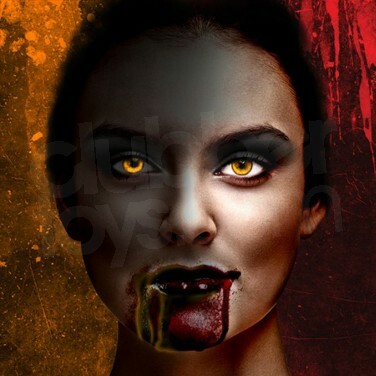 Ideal for Halloween, fancy dress and more, this spooky UV blood gives your make up an extra spooky edge with curdling bloodstains and a glow! Prepare for the wildest most colourful paint party ever with UV reactive Evo Party Paint Powder! One 76g pouch of UV Evo Paint Powder makes up to 7 litres of body paint when mixed with warm water.